After its six-day siege at the Lekki Phase 1 residence of Senator-elect, Buruji Kashamu, the personnel of the National Drug Law Enforcement Agency, (NDLEA), this night pulled out completely. Their withdrawal came a day after the agency had flouted a court directive ordering them to vacate Kashamu's residence. In a statement signed by the media aide of the embattled senator-elect, Austin Oniyokor, he said Kashamu would address the media, Nigerians and the whole world on his ordeal after his medical check-up. 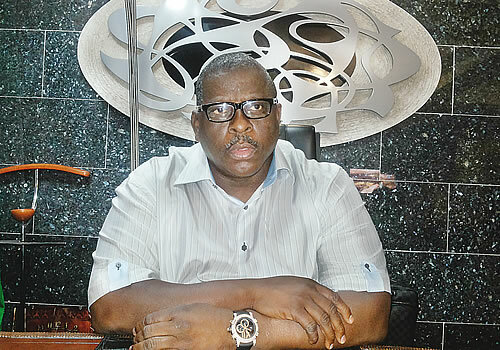 The statement said, "After six long nightmarish days and nights that the agents of the NDLEA laid siege to the Lagos residence of senator-elect, Prince Buruji Kashamu, despite valid and subsisting court orders directing them to vacate the place, we are pleased to announce that they have left the facility. "They left at exactly 7:45pm. But this was after the agency displayed a high level of brigandage and lawlessness that is only fit for a failed state. "However, we thank the Almighty God for His infinite mercies. He is the one who thwarts the plans of the crafty, so that their hands achieve no success. "We also salute the judiciary for once again rising to the occasion and proving yet that it is truly the last hope of the common man and the oppressed. "We are grateful that the judiciary has again affirmed Prince Buruji Kashamu’s innocence of the charges against him, thus turning for good what was meant for evil. "Our appreciation also goes to the media, civil society groups, student bodies and all well-meaning Nigerians for their prayers, support and solidarity during the period."